We’re fast closing in on one whole year with the goods and services tax (GST) being implemented on some of our daily expenses. Expenses are no doubt getting higher day by day as it seems, and one of the pricier expenditures that we simply cannot do without, would be food. It is a daily necessity and yes, there are more cost effective ways to eat, but at the end of the day, it still winds up costing quite a fair bit. Preparing our own meals on the other hand could be a cheaper alternative, but it might wind up being an inconvenient affair, especially for working professionals. As a last resort, many have swapped their kitchen stove for the plethora of food delivery services which are available locally. Though they may come at a slightly higher price tag as compared to home cooked meals, at the very least, they are readily available at a click of a button. Another alternative that working professionals have resorted to for their lunch experience, would be food trucks. They tend to come at a slightly lower price tag than food delivery services and may even challenge the price of a home cooked meal, though of course prices differ from one food truck to the other. One Malaysian food truck that understood the pain of locals having to fork out an exorbitant amount for their daily meals would be Masala Wheels. They are a relatively new social enterprise food truck that filled that gap for more affordable meals without discounting on the taste factor. They shared that their secret recipe is a blend of authentic spices with medicinal values like turmeric, clove, fenugreek and many more. The recipe originates from a Sri Lankan family, who till today blends their own spices for cooking purposes without getting the commercial ones off the shelves. “This differentiates us from other kitchens, where we provide opportunities for working women to earn extra income by empowering them to locally produce these spices for us,” they said. 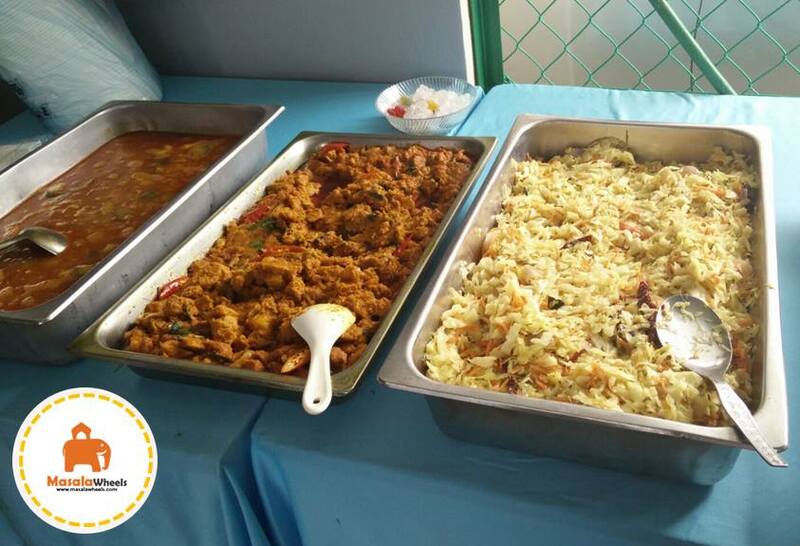 Currently, they have set up their professional catering services and deliver pre-packed meals for board meetings at offices surrounding the Kuala Lumpur City Centre, and this includes Petronas Twin Towers, as well as the Hess and Halliburton offices. Headed by Kuhan Pathy and S. Ravindran, the team comprises of 4 locals who come from a different and interesting mix of formal educations. For instance, one of them is an oil and gas engineer, two are IT engineers with their own firm, and the final member is a restaurateur. Whilst 1 founder is fully involved in managing the centralised kitchen and the movement of their fleets and orders, the rest are working professionals who spend their off-work and weekends to sort out accounts, social media, IT platforms and publications. 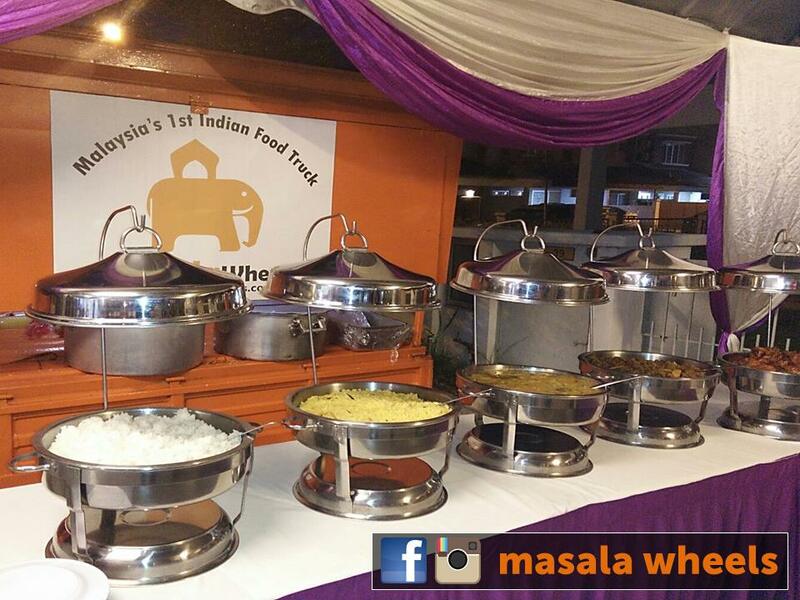 The team is also further supported by 3 other co-founders who are working professionals, whilst gaining additional support from a team of mothers who advice their full-time chefs, and each and everyone of them has their own unique home-made recipes to add a tinge of homeliness to the meals at Masala Wheels. It is safe to say that there are many hands on deck to help make the vision a success. 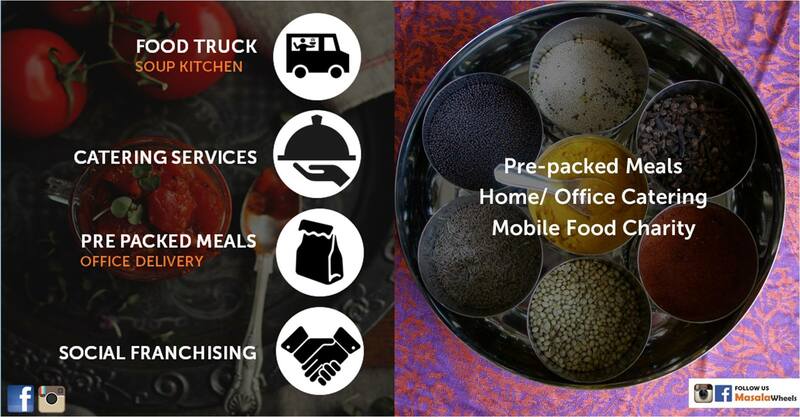 What differentiates Masala Wheels from other food trucks is the social entrepreneurship aspect tied to their name. Their aim is to aid in the issue of starvation which they view as one of the problems which should not exist in this modern age, yet is something that is highlighted in the media. 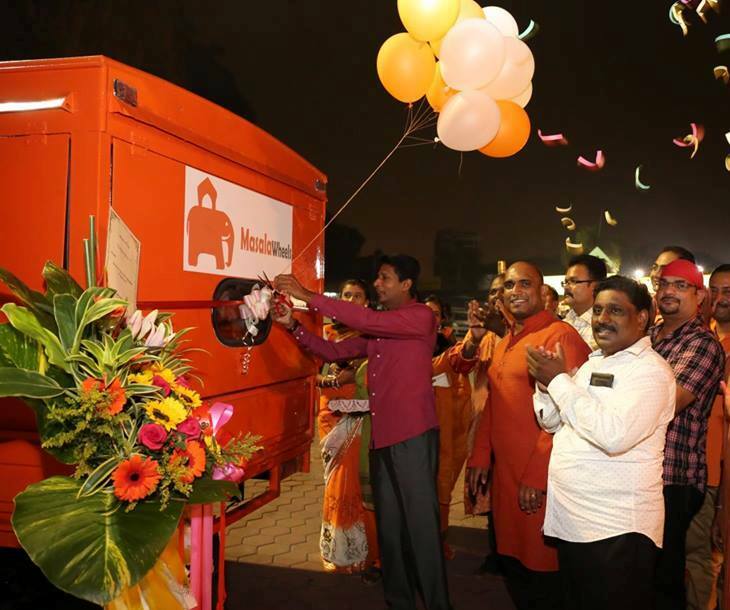 They came up with the concept of #Eat2Donate whereby with every meal from them, the revenue generated, minus the overhead costs such as the chefs and raw products, would bedirected 100% towards charitable initiatives. At the moment, the team’s overhead cost is low as they get volunteers to jump in and offer their sets of hands, and as such, their vast network of volunteers keep them enable throughout. “Though our core message is alleviating the burden of fellow Malaysians through affordable food and being the legally modern Robin-hood by channeling the profits towards eradicating starvation, we remain committed in promoting positive messages too,” the team shared. “As other food truck businesses continue to expand and grow in Malaysia, our essence as a social enterprise shall remain in serving the community through our profits. We firmly believe that no one gets poorer by giving and in order to see the change, we have to be the ones initiating it. While for other food trucks, profit shall be the primary focus as they are a business entity whereas for Masala Wheels, our social agenda shall be prioritised,” they said. 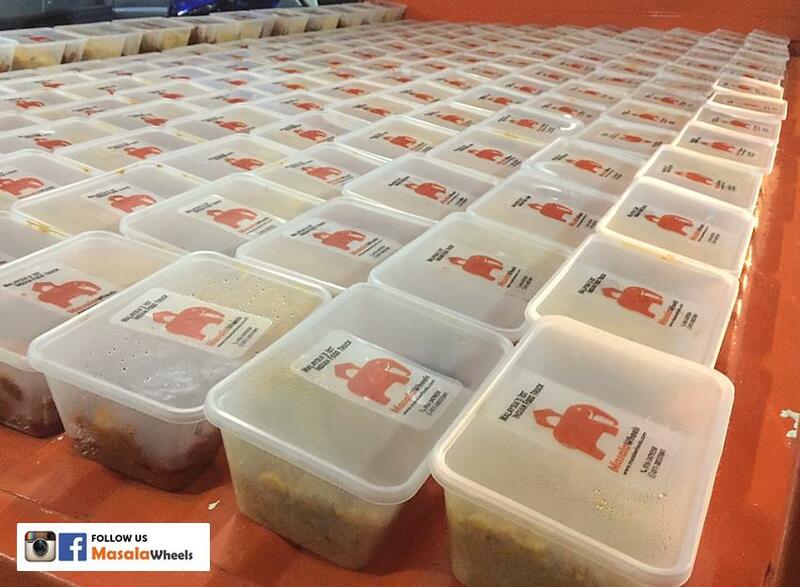 Back in October, on their first day itself, the food truck recorded a whopping sale of 100 packs and that is testament to the fact that people are looking for a cheaper alternative when it comes to their meals, and that is what Masala Wheels has been able to provide. Since then, they have launched into catering services and have even recently launched an online order system. With all this being integrated, Masala Wheels looks into expanding globally while ultimately providing equal opportunity to humanity worldwide in obtaining quality food. 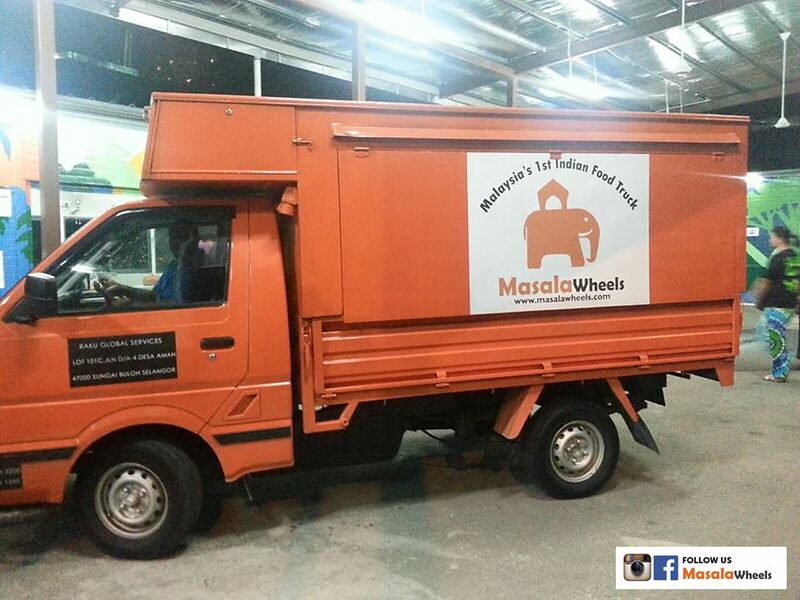 “Beating the odds, we launched Masala Wheels as Malaysia’s first Indian food truck at the beginning. It allowed our customers to indulge themselves in home cooked food with a flavour explosion cheering their tastebuds in a hustling day. After all, who does not enjoy spices-rich food right?” they concluded.